Have you been wanting to see a spooky movie but dont have the Lindens to go and buy one at the movie store? Then look no further then Pumpkin’s Town movie theater. 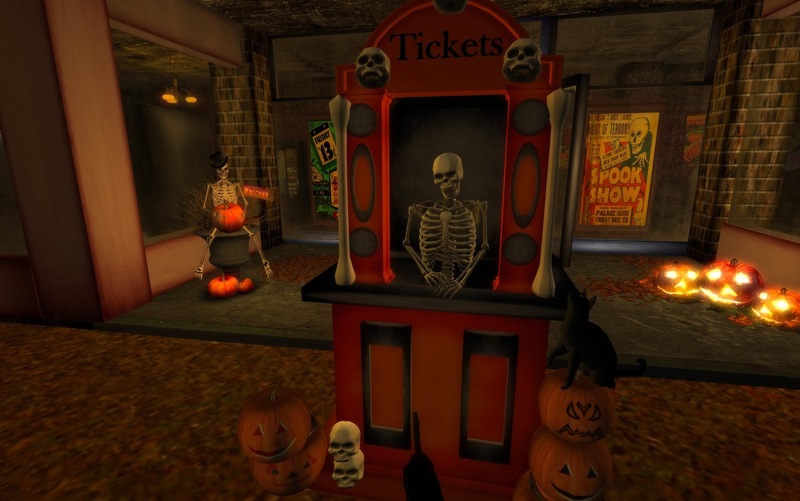 There awaits a skeleton to take your tickets. 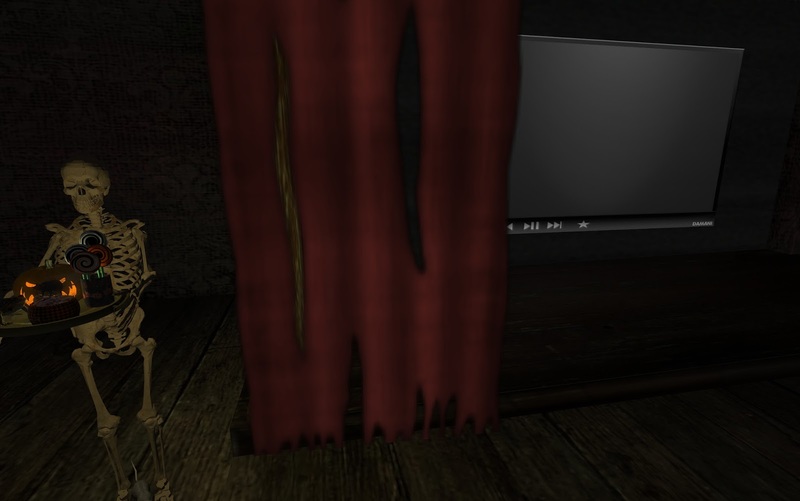 Then as you head inside there is another skeleton to serve you snacks and theater seats for you to relax in as you watch the latest spooky movie !!! I hear the latest spooky movie was “Carnival of Souls”, Herk Harvey 1962. So head down there and enjoy the movie.